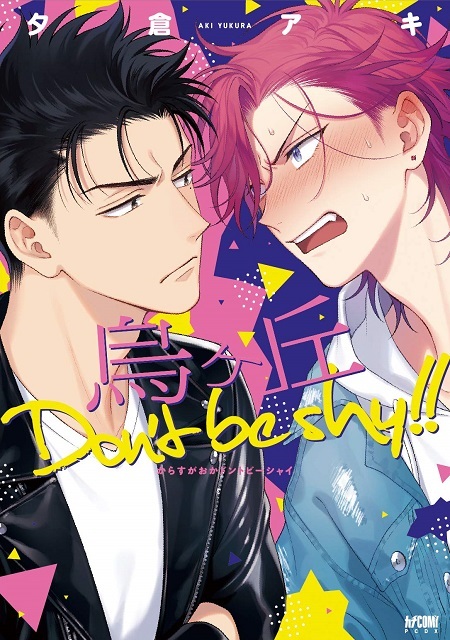 Original Title: Karasugaoka Don't be Shy!! Alt. Title: 烏ヶ丘Don't be shy!! Summary: Izuhara Sou, the leader of the crime prevention group ?VOICE? that protects east Karasugaoka realizes he?s in love with the man he keeps butting heads with and leader of the rival group ?Karasukai?, Shinba Tetsuji?! ?